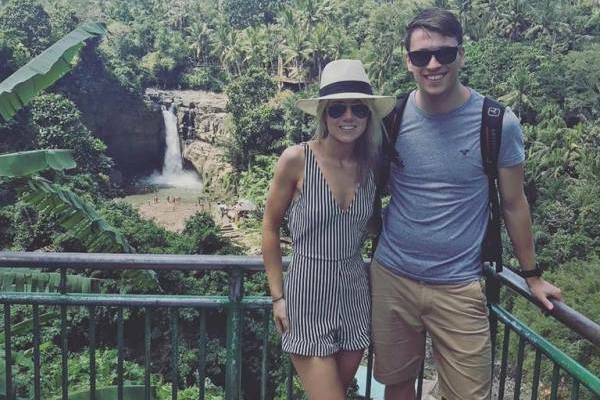 I have THE finish to the week as we catch up with real Bride Kim who is discussing all things Wedmin at the start of the wedding planning process. If you missed Kim’s first post catch up here. 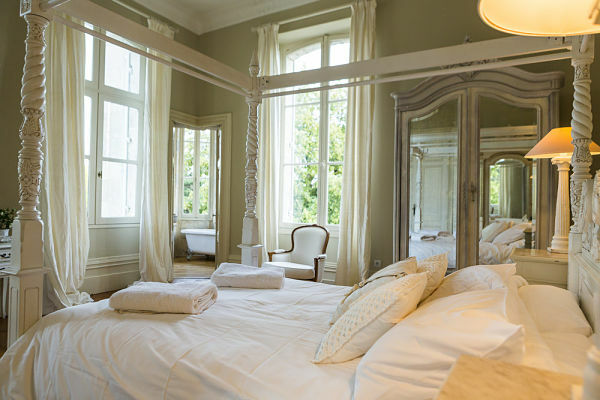 Bienvenue to our wedding updates! How am I approaching planning? I am naturally a very organised person (it must be the teacher in me) writing lists and organising is something I actually like doing, so I am hoping that wedding planning is an experience that I am going to enjoy. 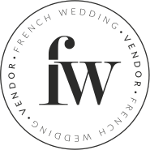 I have promised myself not to get stressed or become a ‘Bridezilla’ and at the moment I am enjoying the whole process – this has been made a lot easier with the help of Sarah, who is our wedding planner based in France. Sarah works for ‘and then we got married’ and knows our venue well and even more importantly speaks French! Catch up: So far, what have we done? Venue – Marrying in France was always a given for us, but apart from knowing the country, we were completely clueless about where to look. 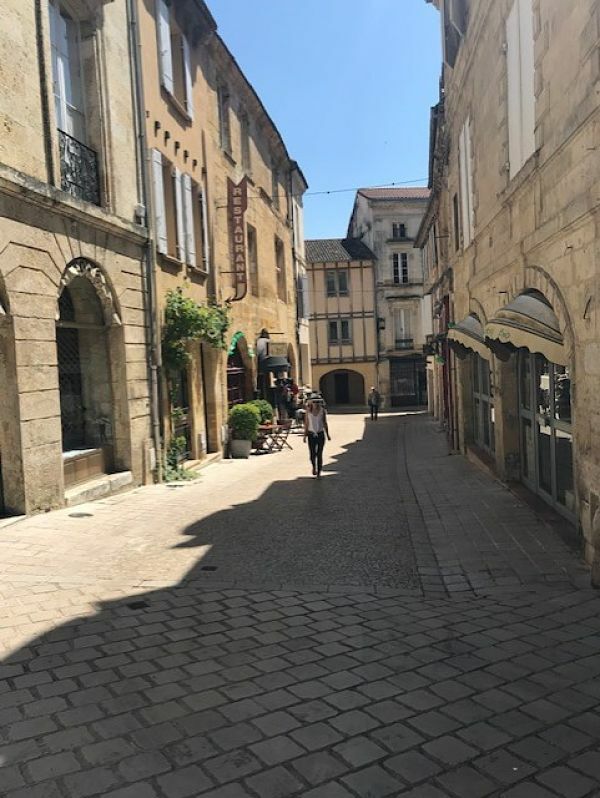 France has so much to offer and the task of choosing between the Alps/French Riviera/Paris/Dordogne was very daunting. Enter…my mum to the rescue! She stumbled across Château Lasfargues and it was love at first sight. We loved the gorgeous grounds, long driveway and its shabby chic décor. 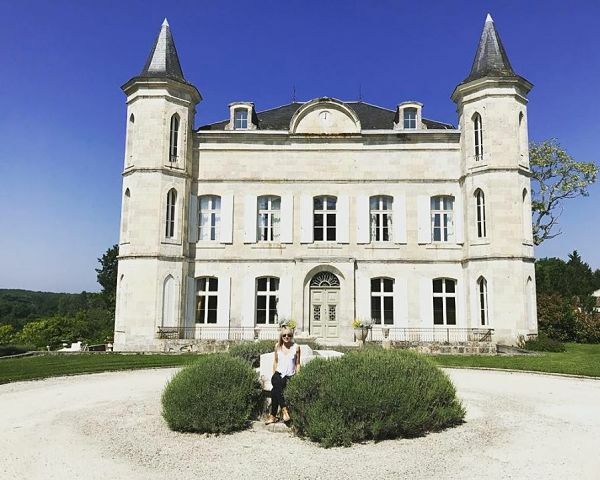 Before booking, we did go out to France for the weekend to see the Château. 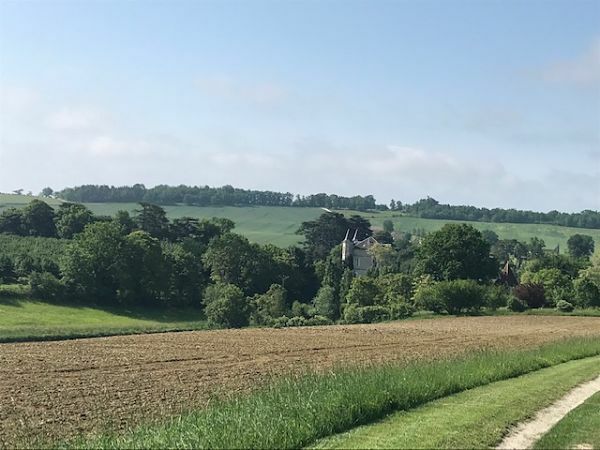 We travelled during the Royal wedding weekend so I was worried that anything compared to a Windsor Fairy-tale princess wedding wouldn’t be up to scratch, however the Château surpassed our expectations. We loved the romantic feel of the venue and I just didn’t want to leave (the hundreds of photos we took have had to keep me going until we go again!). 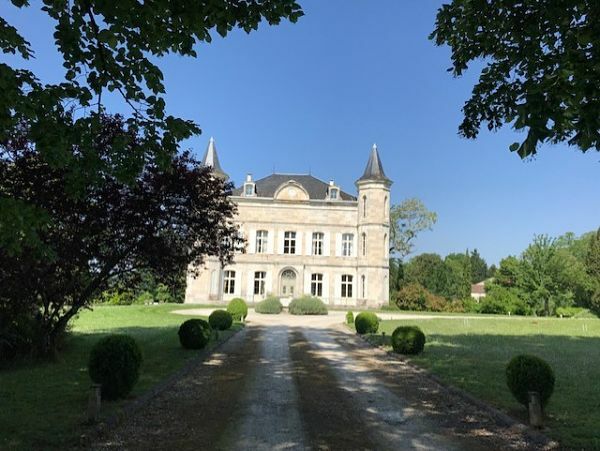 We even fell in love with France a little more, the hour or so drive from Bergerac airport through the rolling hills and the rows of vineyards confirmed our choice and we quickly booked – roll on May 2020! Save the dates – Being a teacher a half term wedding is a necessity, so in order to make sure our loved ones are free and can make it, we wanted to send our save the date asap. We ordered them through Papier. 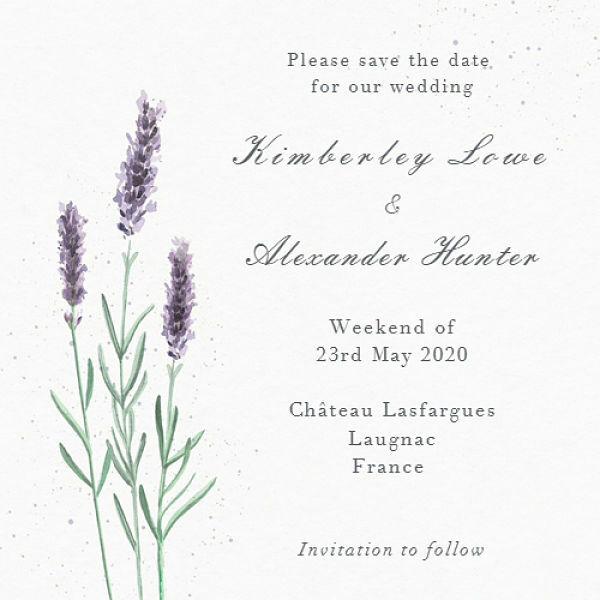 They had the perfect French lavender design and we found the customisation really easy. We also ordered a personalised stamp through Etsy to help add a personal touch to the envelopes. Caterers – we have one! We struggled to secure a caterer that would commit to a smaller wedding (we are having a max of 50 guests) and a few caterers pulled out, however I am a firm believer in everything happens for a reason and the caterer that we have secured is Table d’Aline who not only have a delicious looking menu but Aline, one of the chefs, has worked in Val d’Isere (the place where Alex and I met) so they couldn’t be more perfect for us! Luckily, our planner’s UK home is very near to us and while over in the UK she came round for a planning meeting. In a couple of hours, it literally felt like we talked and planned the whole wedding and everything now seems very REAL! We have a trip booked in early April with both sets of parents to visit the venue as well as some food tasting and of course more importantly wine and cake tasting! I can’t wait to see the venue again and especially share some more of the wedding planning experience with our families and with the help of the lovely Sarah! I also have a few appointments at wedding dress shops and can’t wait to try on dresses accompanied with champagne – that does happen right? If you’d like to keep up-to-date with Kim’s journey then subscribe to our newsletter for all the latest FWS updates.